Sell Downloads Online with Click2Sell! Do you want to sell downloads online and make money? Click2Sell.EU is an incredible option for you, because it has built-in affiliate network to increase your digital product sales even more. We do not offer you only a simple platform to sell and deliver your downloads. We provide you with a complete affiliate marketing package and affiliate network built into your order management platform. 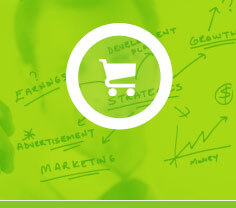 Once you sign-up to sell downloads online with Click2Sell, your product will be listed at Online Marketplace. Click2Sell affiliates can easily find your product and start making sales for you without any additional costs. This way you'll be able to increase your digital product sales even more. Now you can easily start selling online your own digital products – downloads. It only takes few minutes and you're ready to sell downloads online. Your product is activated immediately once you add it to Click2Sell.EU Affiliate Network system, so you don't have to wait for your product to be approved. There are no sign-up or start-up fees. How Click2Sell can help you to sell downloads? You can be sure – there are no waiting weeks for checks to arrive, you can access your money immediately after you make a sale. The sale process is very simple – you receive money from your customers straight to your own account. Money will be deposited to your Paypal, Google Checkout or Skrill account instantly after you sell your download. You can also accept direct credit card payments from your customers on Click2Sell checkout pages. Just configure your Authorize.net, Paypal PRO or Worldpay vendor accounts on your Click2Sell account and you will be able to accept credit card payments from your customers. Click2Sell has very simple fee structure – You pay only a flat $1 – $3 fee when you make a sale. There are no monthly fees or any other additional or hidden charges. Read more about Click2Sell fees. If you have not signed up yet – just do it now and sell downloads online with a help of Click2Sell – Innovative Affiliate Marketing Network.